The York Butter Factory was originally two separate three storey bluestone warehouses, each with a basement. One section was built in 1852 by the owners of the land, Allison & Knight. The exact date of construction of the other is not known but it is probably also around the early 1850s. Possible architects for its design include Charles Laing and John Gill, both of whom called for tenders for the erection of several bluestone warehouses in King Street in the early 1850s. The three openings to the northern part of the building have segmental arches, whilst the openings to the southern part have elliptical arches. In the first years of the twentieth century both buildings came under the tenancy of Hansen and Farrell, who converted them into a butter factory. From 1902 the buildings were known as Hansen and Farrell Co. Butter Factory. Around this time the exterior of the first floor was rendered and the cement balustrade was added to the bluestone parapet. The name painted on the facade was changed to the ‘York Butter Co’ in 1940. Whilst externally the main facade now presents a unified building to King Street, internally the buildings are quite different. The larger southern part of the building has chamfered timber Oregon columns supporting the ground and first floors and first floor ceiling. The basement and ground floor columns have additional diagonal struts. The roof is a timber queen post truss with corrugated steel cladding. The northern part of the building shares a bluestone party wall with the southern building. It has five cast iron columns supporting each floor, the basement columns resting on square bluestone plinths. The columns have crosshead capitals to carry Oregon beams, which in turn carry joists. The roof is a king post truss. At the rear is the remnant of a bluestone laneway. Access to the ground floor and basement is via King’s Street, whilst a walkway has been introduced to give access to the first floor from the Rialto Plaza. The York Butter Factory is of historical and architectural significance to the State of Victoria. 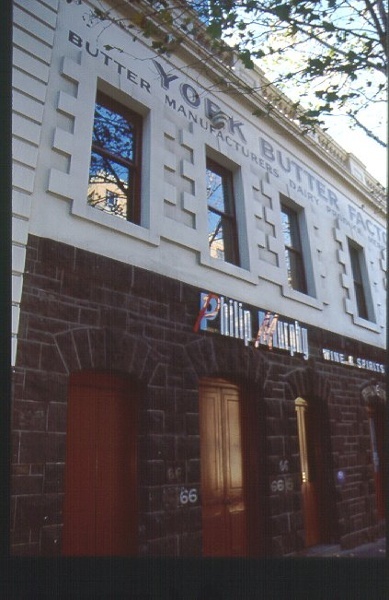 The York Butter Factory is historically significant as one of the oldest warehouses in central Melbourne. The various tenancies demonstrate the range of manufacturing business types that once operated in the central business area. Before the two buildings were unified to operate as a butter factory from 1902, a large variety of business types were conducted from the premises, including shipping agents, a meat preserving company, tanners and printers. 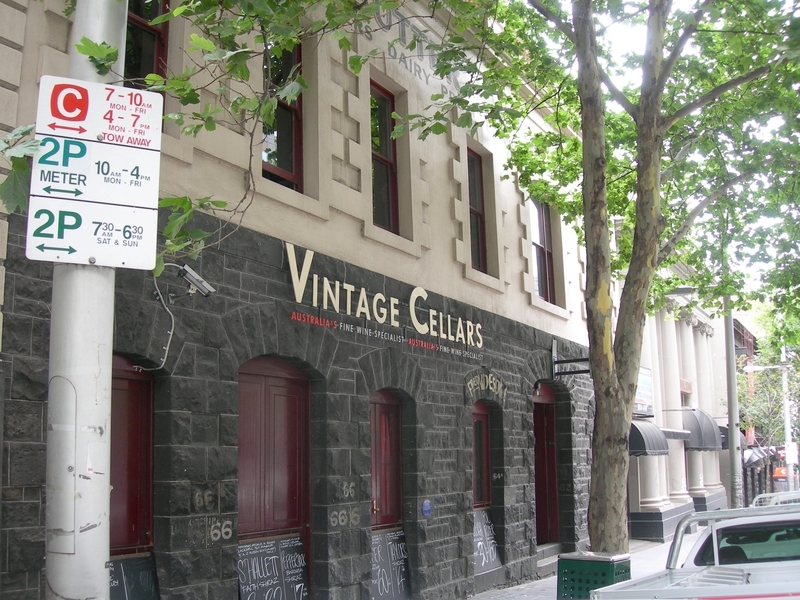 The building is one of the few survivors of a large number of warehouses which owed their existence to the presence of wharves on the nearby River Yarra. The York Butter Factory is architecturally significant as one of the few survivors of a large number of bluestone warehouses which date from the period of the early 1850s. 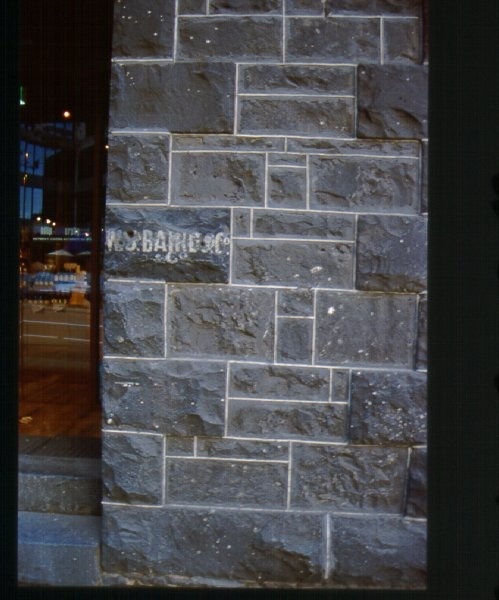 It is significant for its expressed structural use of bluestone, a stone which despite its ready availability remained out of favour until the 1850s. The King Street facade is representative of simple but dignified warehouse architecture of the 1850s, a style which persisted into the 1860s. Internally the building contrasts the structural use of Oregon posts to cast iron columns. If the cast iron columns were accurately dated to the early 1850s, they would represent one of the earliest surviving examples of this construction in Melbourne. 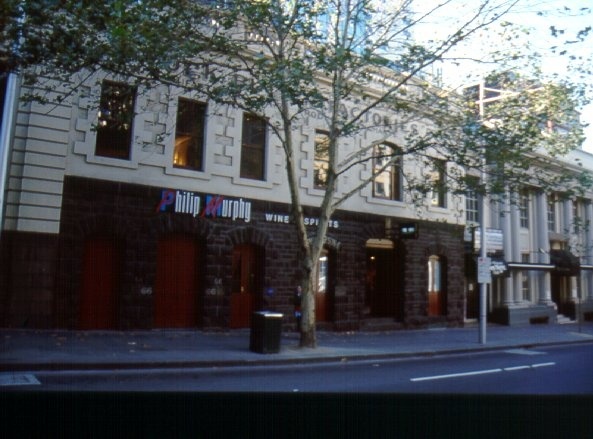 Former York Butter Factory, 62-68 King Street, Melbourne, Melbourne City Council. 1. All the buildings and structures being B1 Building, as marked on Diagram 396 held by the Executive Director. 2. 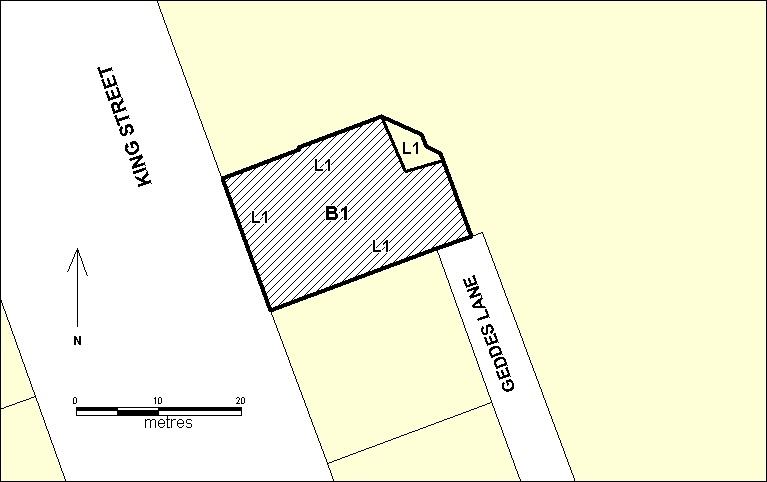 All the land marked L1 on Diagram 396 held by the Executive Director, being described Vol. 9671 Fol. 302 & 303 Crown Allotment 18, Section 2 in the Parish of Melbourne North, City of Bourke. Architect not known. Possibilities include John Gill or Charles Laing, both of whom tendered for several bluestone warehouses in King Street in the early 1850s. The Memorial Sydney 1757 of September 1840 records J Allison and A Knight purchasing Crown Allotments 16 and 17 for 3000 pounds. * Installation and removal, contained to existing areas such as the roof or the rear of the building, of extraneous items such as air conditioners, pipe work, ducting, wiring, antennae, aerials etc, and making good. * Replacement of carpets and/or flexible floor coverings in existing areas, i.e. first floor. * Removal or replacement of existing kitchen benches and fixtures including sinks, stoves, ovens, refrigerators, dishwashers etc and associated plumbing and wiring. The purpose of the permit exemptions is to allow works that do not impact on the significance of the place to take place without the need for a permit. The main importance of the former York Butter Factory building is the integrity of the expressed internal and external structure of bluestone, brick, cast iron columns, and Oregon columns, floors and trusses. Any structural alterations will require a permit. Changes to the decorative scheme of the of bluestone, brick, cast iron columns, and Oregon columns, floors and trusses will also require permits. Changes to exterior signage will also require a permit.